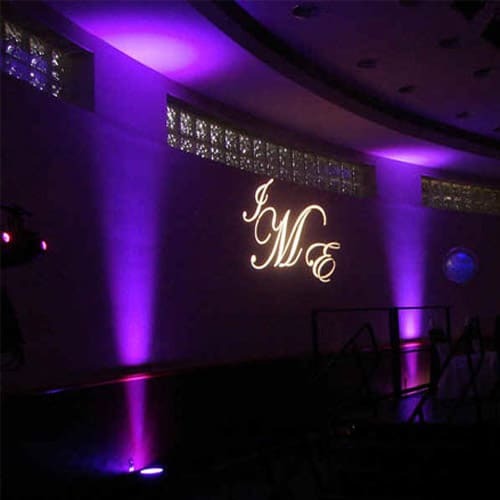 We have a large number of uplighters that can be used to create a wash of light in your venue. Uplighters have the ability of changing to a multitude of colours from, red, blue, violet, pink, white and green. Uplighters add ambiance, atmosphere and warmth to any room. Our L.E.Ds are safe and never get warm. To find out more get in touch today! Our lovely 3ft Round Mirror cake table top is now available for hire for weddings and events. Ensure your cake is one of the most extravagant things in the room with this stunning mirrored table top (part of the mirror collection) The Cake table mirror table top is 3ft round. Any questions just ask! Our large 6ft table, beautifully crafted with stunning detail is perfect for a unique ceremony table or the top table love seat. 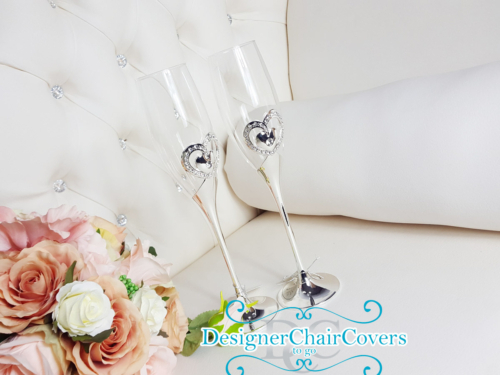 This particular table has been paired with our Elegant white leather throne chairs. Blossom Canopy - custom built by the Designer Chair Covers To Go team. Made from hundreds of blossom blooms hand built with ivory and blush pink florals. This canopy is 2.5M wide perfect for the head table. These antique gold pillar candle stands are a pretty option for the top table or to decorate the entrance table. Mixed heights they provide a pedestal for the candles to stand on. Featured in the photograph also showcases our dressed candles with a burgundy ribbon and the large diamond attachment. Very pretty and a wonderful top table choice. Elegantly understated whilst looking superb in photographs. Silver sparkle napkin ring cuff is also in stock. We have these beautiful little detailed accessories to brighten up your napkins. Easily removed with a swift open the napkin cuff creates a bit of interest on the table and to your plain napkin. Can be used with coloured or white linen. 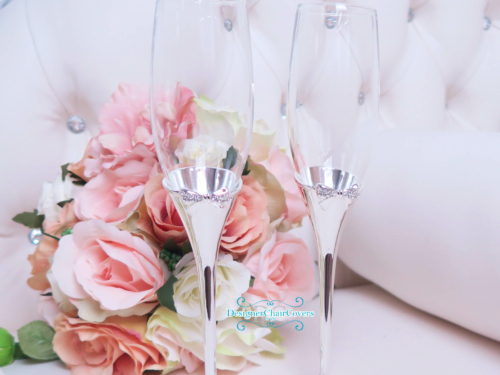 Hire now to add some bling to your table. Mirror pedestals or plinths are a pretty replacement for the simple stand available at most florists. They are a great feature to have next to the top table ideal for presentational items such as the placement of a large arrangement of flowers. 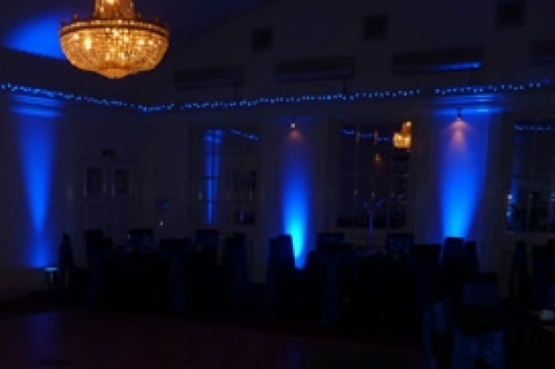 The plinths are an excellent way to showcase the top table or they can be used at the wedding ceremony along the aisle or even at the entrance to the wedding reception. The large base allows a wide variety of options from flowers to centrepieces to something very special to you. The pedestals come in two sizes the taller upright stand and the smaller square cube. Both the Mirror Pedestal and the Mirror Cube are available for hire for weddings and events For more information how these can be added to your big day get in touch today!